It was only recently that AT&T agreed to allow Sling Media's SlingPlayer Mobile for iPhone app to run across its 3G network. (Previously, the app ran via Wi-Fi only.) 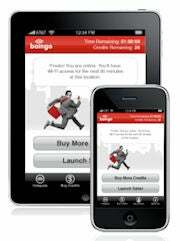 The streaming software works with the SlingBox device to route TV programs across the Internet to an iPhone. Given the iPad's larger display, it's natural that Sling would develop a higher-resolution mobile app (beyond the iPhone's 320-by-240 pixels) for the new tablet, and that's exactly the plan, according to digital media site Zatz Not Funny. The bad news: SlingPlayer Mobile for iPad won't be ready in time for Saturday's big launch.Image credit: Zatz Not Funny. It's common knowledge (at least among techies) that the iPad won't support Adobe Flash, a limitation that will limit the type of video and other streaming content available to the tablet's users. Things may change soon, however, if Brightcove Experience for HTML5 proves popular. A free offering to users of the Brightcove online video platform, this video-publishing tool supports HTML5, an up-and-coming, industry-standard spec for Web video that may eventually replace proprietary technologies such as Flash and Microsoft Silverlight. These two independent publishers will allow writers to self-publish their books for the iPad, according to The iPad Guide blog. 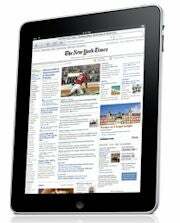 Lulu will automatically convert books to the iPad-friendly ePub format at no cost, unless an author tells them not to. And writers who sell ePub-formatted books in Smashword's premium catalog will see their titles available on Apple's iBookstore when the iPad launches, the report says. This is certainly good news for unknown authors, who need all the help they can get to sell even a few copies of their masterworks. There's bound to be a gazillion vendors selling protective skins for the iPad, but Unique Skins is one of the first out of the gate. Its Apple iPad Scratch Resistant Skin sells for $20, and you can use your own photos or artwork to customize the tablet. Despite the Apple Store's ban on screen protectors, the protective skin and case market for the iPad could be huge. After all, the device is designed to be held like a smartphone, but it has relatively large, netbook-like dimensions. Accidents do happen. Mobile ad network Greystripe is bringing its iFlash ads to the iPad, a development that's sure to please content providers who see the iPad as a new advertising medium. The iFlash technology takes ads created in Flash and converts them to run on the iPhone and iPad. For mobile ad marketers, the iPad's relatively large canvas may be a dream come true. Could infomercials be far off? Hey, guys, how will you carry your iPad? Is a strapless, padded case the hairy-chested favorite, or are you comfortable enough with you masculinity to brave a shoulder strap? The iPad Case Gallery from iLounge offers dozens of choices. There's even a silk sleeve. What, no lambskin?